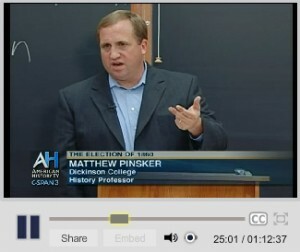 You can watch the full 75-minute episode on C-SPAN’s website. William Wilkins’ letter to James Webb, editor and publisher of the New York Courier and Enquirer, reveals an interesting view on some of the political perspectives that existed on the eve of the 1860 election. 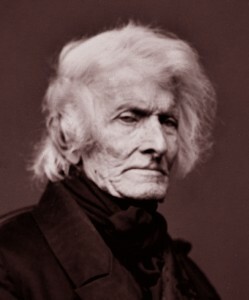 Wilkins, who graduated from Dickinson College in 1802, was a Pennsylvania Democratic politician who also served as Secretary of War in President John Tyler’s administration. 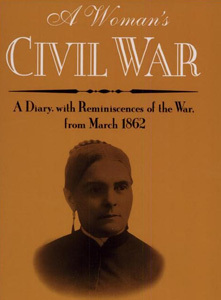 While Wilkins had originally “intended to have told you something of myself,” he noted that Webb’s political “pamphlet has driven all such things out of my head and set if off ‘a wool gathering.’” Wilkins’ was not happy with Webb’s take on slavery. George Washington “never dreaming he was fighting for kidnapped Africans of the Lowest order of human beings,” Wilkins argued. Wilkins also believed that southerners should be allowed to bring slaves into any territory. “Where is the great right of migration?,” Wilkins asked. Yet Wilkins was careful to note that he did not count Webb among the radical abolitionists. “You must not suppose I include you…in [the] certain mad, fanatical category as full of political wickedness as was John Brown,” Wilkins explained. 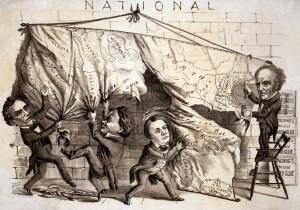 Wilkins hoped that sectional tensions would be resolved without resorting to disunion, as there could be no “secession, without pulling down the entire wonderfully and wildly constructed fabric” of the Union. While Wilkins’ wife asked him “to burn…this horrible letter,” he refused and sent it onto Webb. You can read the full text of this letter online at House Divided. While Abraham Lincoln was elected “by one of the largest voter turnouts in United States history,” historian Phillip Shaw Paludan notes that “the Republican victory was entirely sectional.” Lincoln and Hannibal Hamblin did not receive any votes from the Deep South states. Yet divisions also existed within northern states, including Cumberland County, Pennsylvania. The election results for Carlisle reflected a deep divide in the community – while Republicans won the town (overall votes in Carlisle West Ward / East Ward), Democrats received the most votes overall in Carlisle District (For more details, see election return tables below). As for Cumberland County, Lincoln received 51.5% of the vote in Cumberland County. These results largely correspond with historians’ arguments about urban and rural voting patterns in the 1860 election. 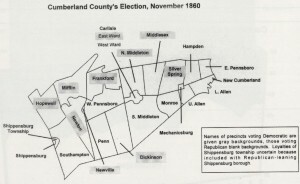 While “one might expect to find northern cities to have been stronghold of Republicanism,” David Potter argues that “Lincoln received much less support in the urban North than he did in the rural North.” Republicans received the most votes by far in the rural precincts of Cumberland County and came very close to losing Carlisle. One can see which precinct Lincoln’s party won in the map below — precincts that Republicans won have blank backgrounds. 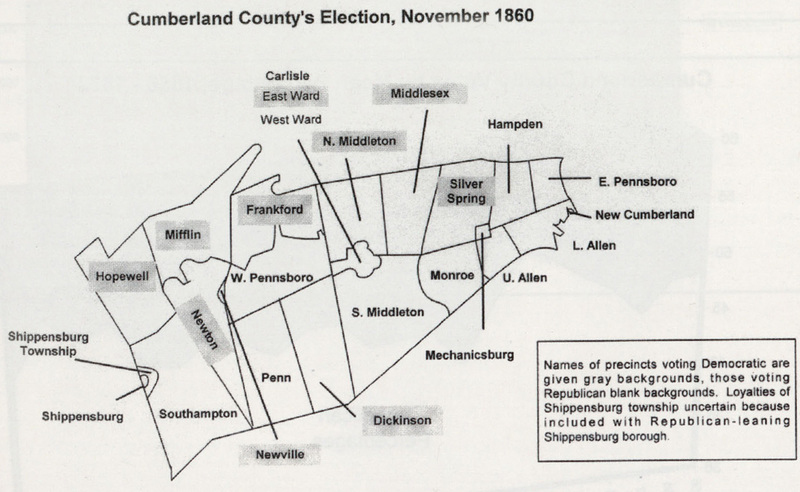 This map was originally published in John Wesley Weigel’s “Free Soil: The Birth of the Republican Party in Cumberland County,” Cumberland County History Journal (Summer 2000). The full article, along with other essays that explore the political history of the Whigs and Democrats in Cumberland County, are available on this post as PDF files. 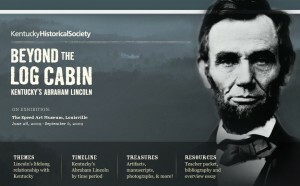 continue reading "Election of 1860 – Cumberland County"
“Beyond the Log Cabin: Kentucky’s Abraham Lincoln” is a great online exhibit created by the Kentucky Historical Society. This interactive site includes manuscripts and artifacts from over 40 repositories nationwide and the content is divided into four overall categories – Themes, Timeline, Treasures, and Resources. 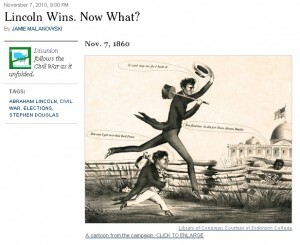 Themes include topics such as “Frontier World of Abraham Lincoln,” “Lincoln’s Rise,” “Lincoln and Kentucky at War,” and “Remembering Lincoln: Then and Now.” Each one has a short essay as well as relevant documents, images, and other relevant artifacts. The Timeline section explores Lincoln’s life in Kentucky as well as how the state has commemorated the Sixteenth President after April 1865. The Treasures section allows visitors to explore all of the photographs, manuscripts, and other artifacts in an interactive display. 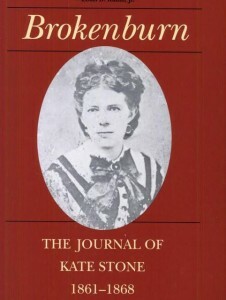 Resources include a Teacher’s guide, a bibliography, and an essay originally published in the Kentucky Historical Society Chronicle. When Democrats held a rally in Carlisle, Pennsylvania on October 6, 1860, the Carlisle (PA) American Volunteer reported that no one had been ready for the “overwhelming avalanche” of delegates from “every town and township in the county.” Over 8,000 people filled the streets before noon, according to some estimates. 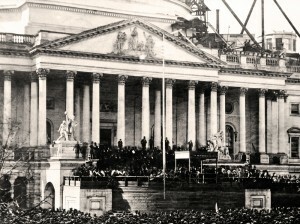 The American Volunteer backed Senator Stephen Douglas and supported this event as a means to rally Democratic voters before a critical election. In the months before the election, the American Volunteer tried to convince Cumberland County residents that the Republican party represented a serious threat. “The election of LINCOLN will be the death-knell to our Republic,” as the American Volunteer warned. 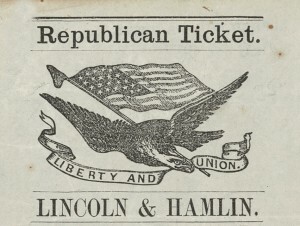 As Republican “Wide Awake” groups held parades in northern cities, the American Volunteer reported that “each man carried a six-barreled revolver” in order to demonstrate that “LINCOLN and his party are determined to carry out their sectional doctrines at all hazards and at any sacrifice.” The American Volunteer saw Republicans as a “sectional Abolition party” which was determined to “humble the South [and] root out slavery.” If Republicans carried out their plan, the American Volunteer predicted that “every State in the Union will be bathed in blood.” Only a Democratic victory in November 1860 would ensure a future for the Union. 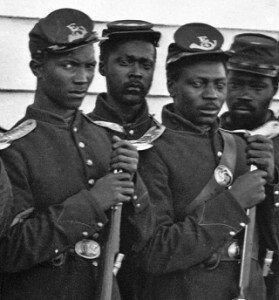 If Lincoln won, the American Volunteer observed that it “will be regarded as a declaration of war.” Yet the American Volunteer’s arguments failed to convince a sufficient number of Cumberland County voters – Lincoln ended up with a 400 vote majority. “A long dreary winter is ahead,” the American Volunteer predicted.